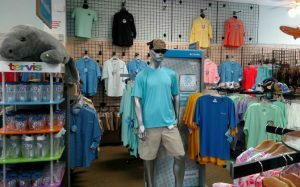 Our retail shop offers top-quality resort wear including some of the nation’s most popular brands including Costa, Maui Jim, Reef, Sanuk and Crocs. Island Adventures also has a large selection of St. George Island t-shirts and souvenirs to capture their St. George Island vacation memories. 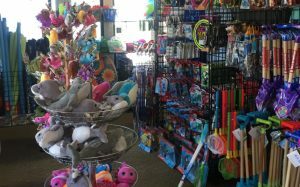 The pro shop department features quality fishing bait, tackle and accessories including Columbia Sportswear, to protect your skin from the Florida sun.